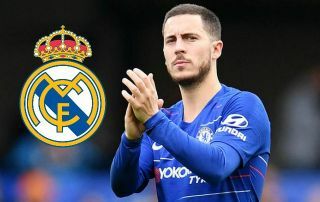 One global sports star has called for Real Madrid to sign Eden Hazard from Chelsea this summer, the star tweeted this after Madrid’s 4-1 defeat to Ajax. NBA superstar Joel Embiid was clearly unimpressed with Los Blancos’ performance against Ajax this evening in the second leg of their Round of 16 Champions League tie. The Philadelphia 76ers centre professed that Madrid need to sign players this summer – it’s not surprising to see Eden Hazard at the top of his wishlist. Embiid’s tweet will no doubt refuel rumours of a potential swoop from Madrid for Chelsea’s main man.